Every glass of wine is an opportunity to learn something. Every wine comparison is a guaranteed way to learn something. Before I started attending wine tastings, either at home or through university or in the wine industry, I usually only had one wine at any one time. This was good for learning about what I was tasting by reading the label and getting any other information I could find (from a friend who may have recommended it, from the person pouring it for me, or from the internet). But it was only when I started comparing wines directly with each other that I really started learning about the things that influence wine – like cellar age, vintage differences and varietal differences. By comparing similar (but slightly different) wines against each other, I could pinpoint the causes of differences between different wines. Until you taste the differences, and connect them in your mind to the factors causing those differences (like the grape variety for example) it is very hard to develop a meaningful appreciation for wine. Let’s take a step back: How do you learn about wine? 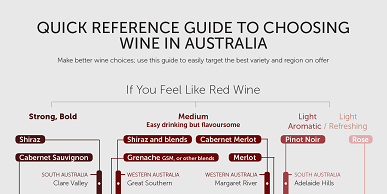 In my experience, the key to learning about wine is combining the sensations you are perceiving (with your eyes, nose and mouth) with the information you have about a wine (e.g. from the label). Your brain makes a connection between the sensations you are experiencing and the information you already have (“So, this is what XYZ wine tastes like”). This works fine with one glass of wine in front of you. But what about if you want to isolate one specific factor (like the year) and taste its effect (e.g. the flavour profile, the body etc)? Many wine writers will say the only way to learn about wine is to taste as many different wines as you can. I agree, but if you really want to want to supercharge your wine knowledge in a simple, yet interesting way, comparative wine tasting is the way to go. This is one of the fundamental approaches that defines Wine Wisdom Made Easy. I believe that comparative wine tasting is the single most powerful way to learn about wine. If you have more than one wine to compare, with only the minimum number of differences between each (ideally only one difference), your ability to learn about wine has just been multiplied. With only one glass, you can certainly identify all the colours, aromas, flavours and textures of that one wine. But can you identify what caused those characteristics? If, for example, you compare two wines of the same variety, at the same price-point from the same producer, but from different (but recent) years, suddenly you have the chance to see the effect of vintage variation on wine. For example, comparing a wine from a hot year compared to a cool one, you know that the major difference between them is the year they were made. You could do the same thing with different varieties (while keeping the producer and year and price-point as a constant). This approach basically takes one of the key principles of the scientific method (removing all variables except one) and applying it to wine tasting. Who said science was no fun?